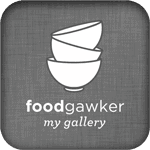 Don’t sue me if you get whiplash! 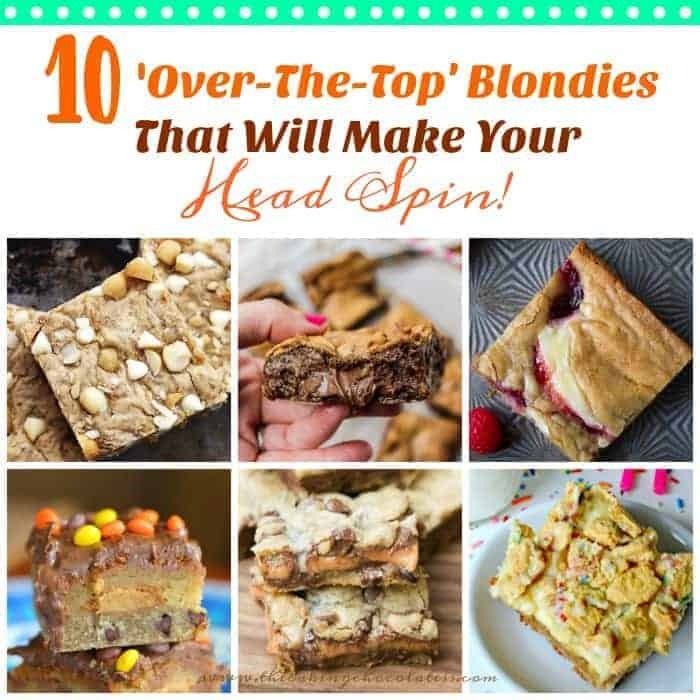 But I’ve got 10 Over-The-Top Blondies That will Make Your Head Spin. When I think of “head spins”, I literally think of The Exorcist , which by the way, I have never seen, because the previews were enough to scare the living crap out of me. But the reference to that, is pretty much right on queue. But, beware! 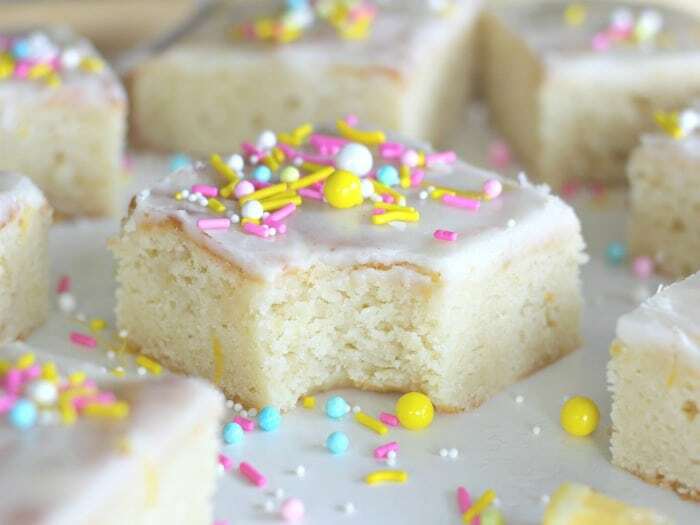 These are NOT your normal traditional blondies. 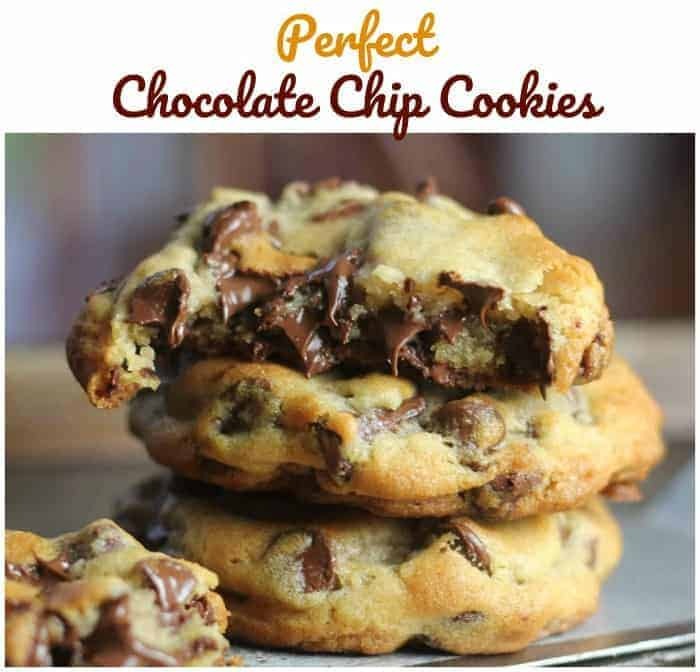 They are way over the top, totally scrumptiously delicious and will have you swooning and most likely drooling within seconds. (So what if I drooled a little?) So show me what ya got! Here we go! Wanna see the rest of these bad boys? Of course you do!! 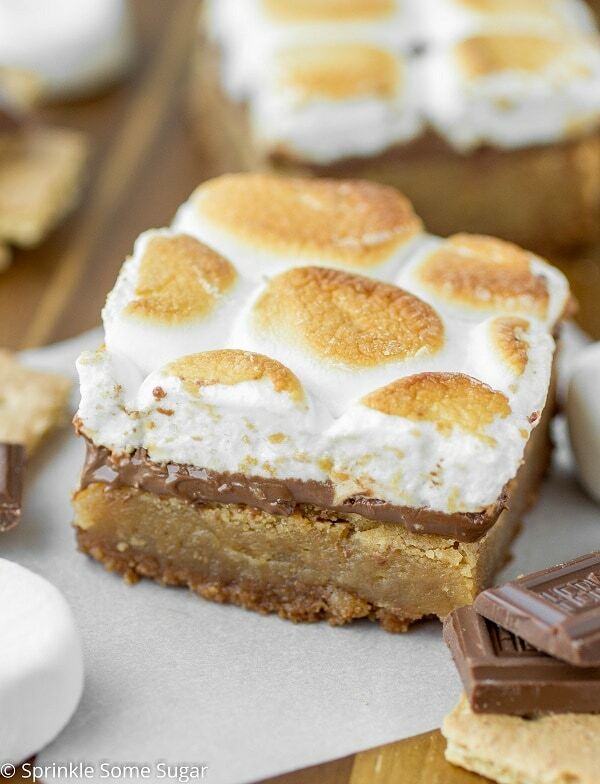 These Toasted S’mores Blondies are the next best thing to traditional s’mores! It’s that time of year folks! 9. 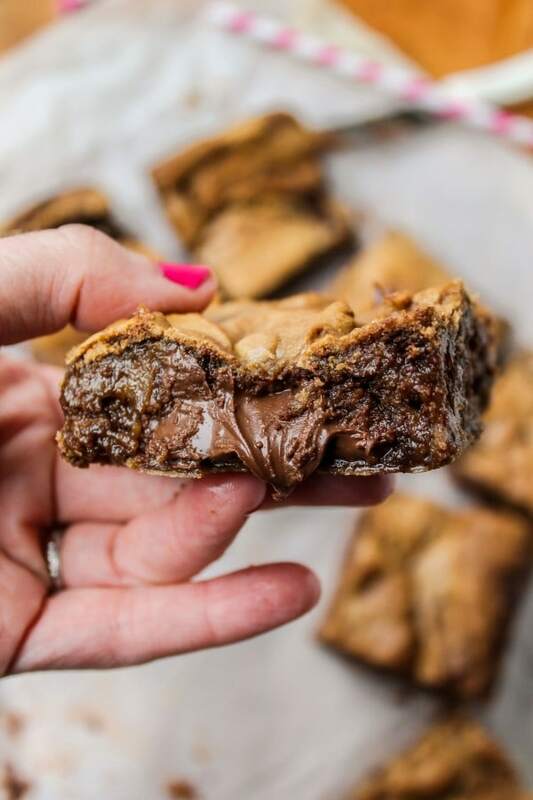 Disappearing Reese’s Marshmallow Chocolate Chip Blondies @ The Baking ChocolaTess. There’s a supreme reason they’re called Disappearing Reese’s Marshmallow Chocolate Chip Blondies! 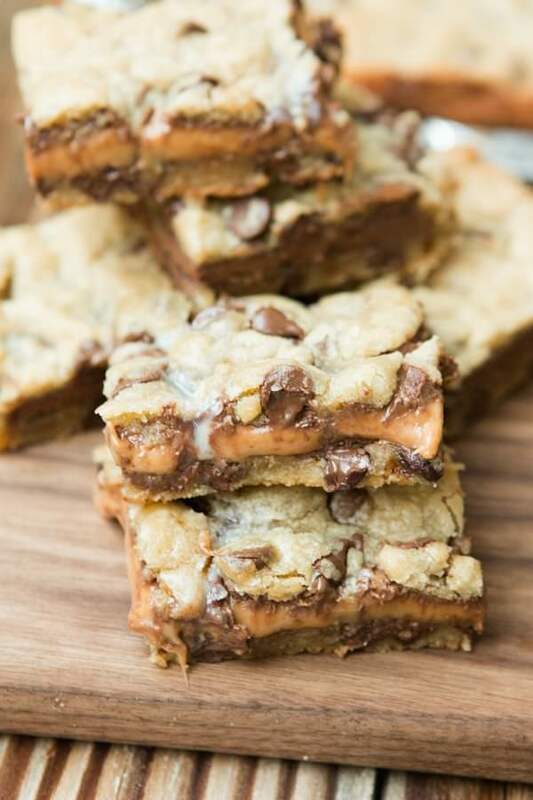 If you have an intense obsession for marshmallow and Reese’s Peanut Butter Cups in Chocolate Chip Blondies, I think we’re covered here. 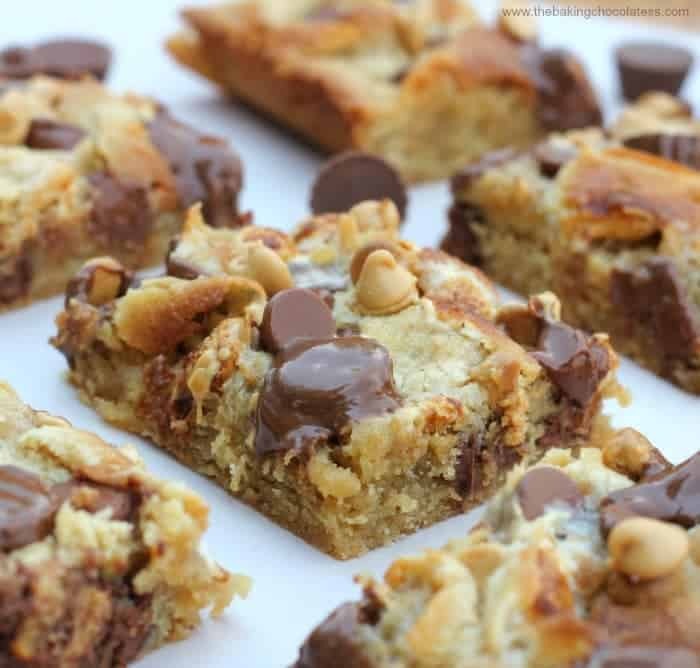 These gooey Rolo Blondies are a must make for your next get together! Like now! 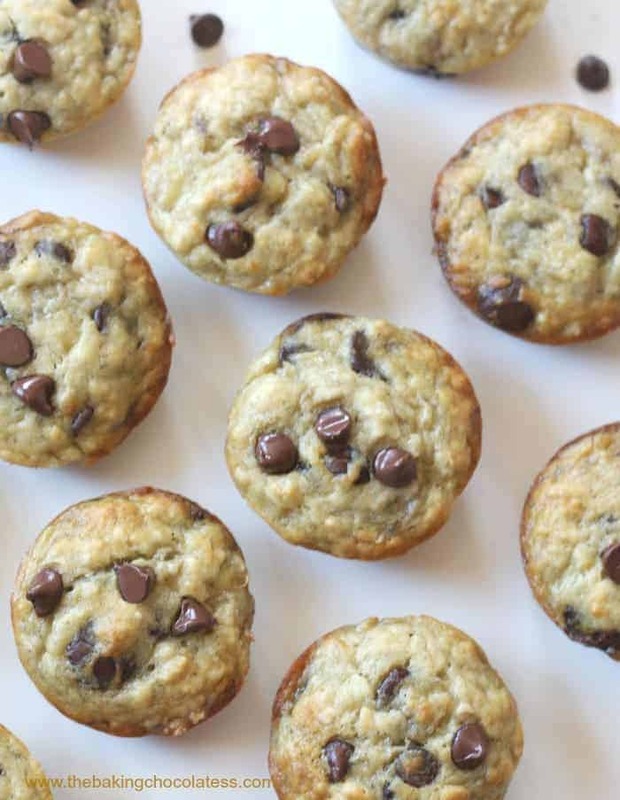 These soft, buttery blondies are filled with Nutella , which makes for a decadent and addicting dessert. 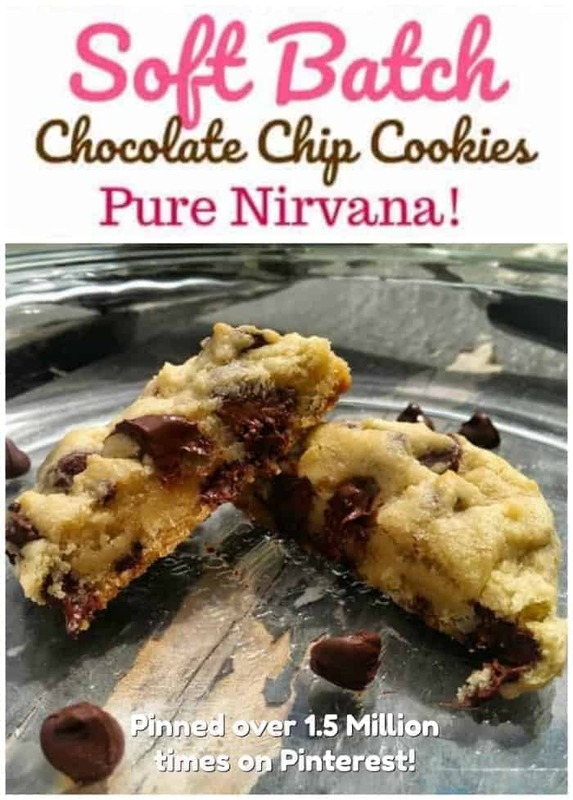 Don’t make these if you don’t have milk. For real. 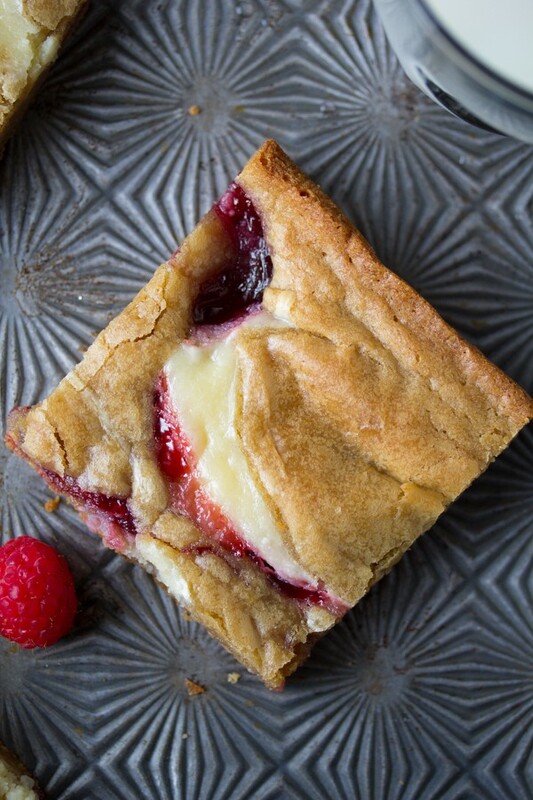 Blondies are swirled with raspberry jam and cheesecake in this chewy and delicious dessert bar! 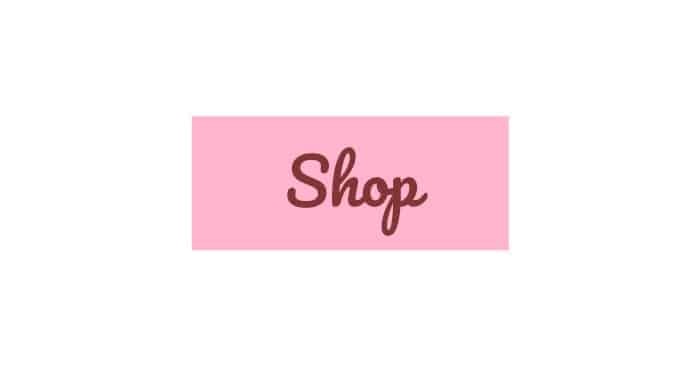 O Snaaappp! 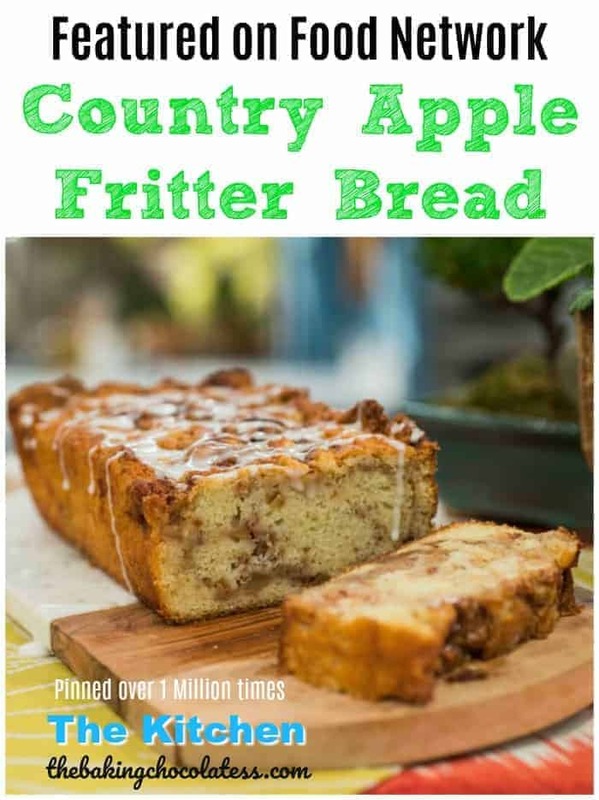 Pretty much the most amazing, delicious and naughtiest, thickest Nutter Butter Slutty Blondies in the whole wide world! 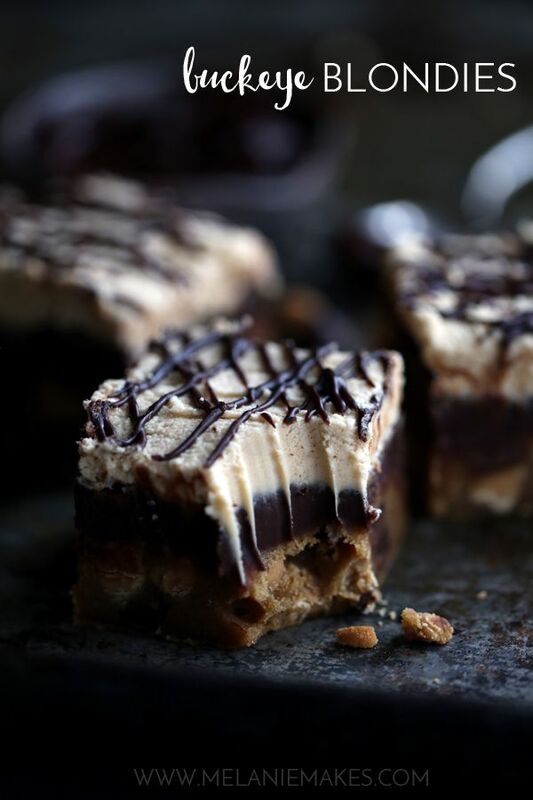 A peanut butter blondie base is studded with chocolate and peanut butter chips before being slathered with a dark chocolate ganache, a sinful peanut butter ganache and then drizzled with even more chocolate ganache. 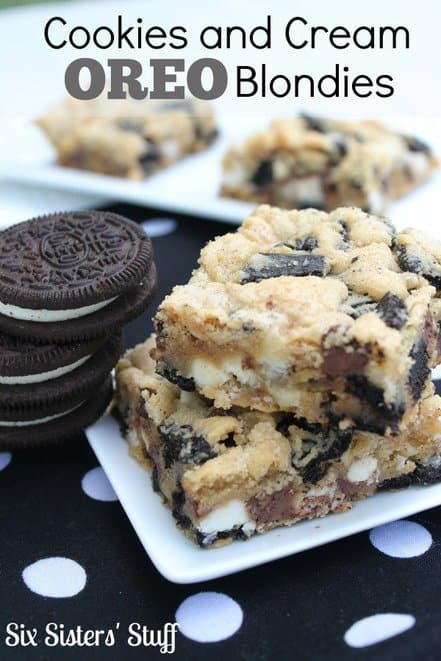 These Cookies and Cream Blondies are loaded with Oreos and the delicious flavor of cookies and cream. Yum! 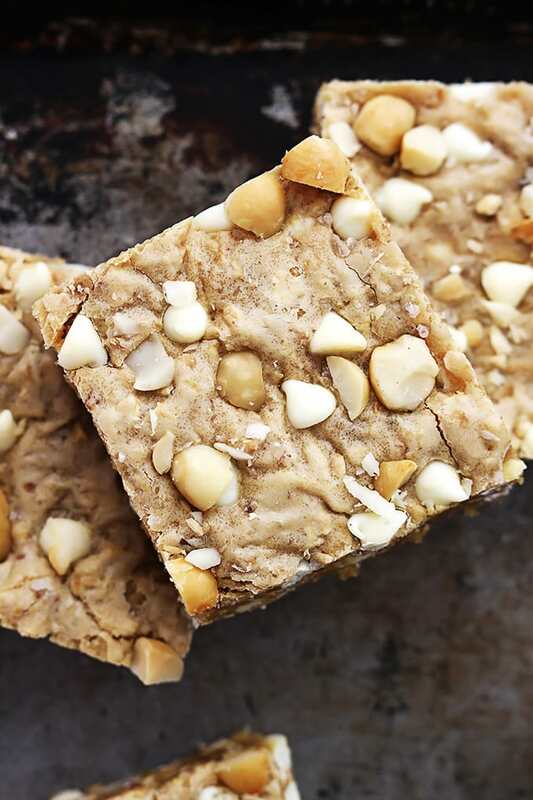 Thick and chewy white chocolate chip macadamia nut blondies – just like the famous cookies but in an easy-to-make bar form! 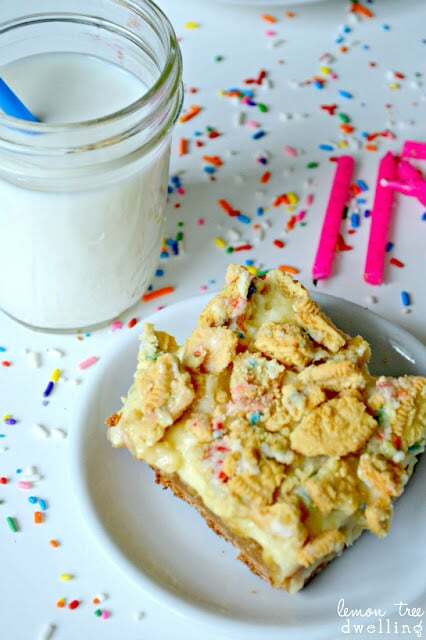 Decadent blondies topped with cream cheese and Birthday Cake Oreos ….your new favorite birthday treat! Let’s Party! I am a huge blondie fan and I’m right there with ya Kelly! !